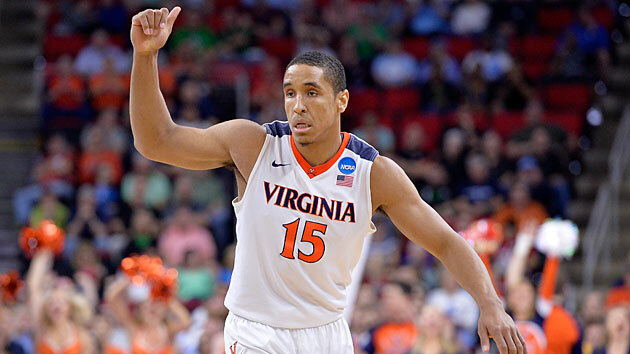 Everything you need to know about the Virginia Cavaliers as the Sweet 16 begins. The Case For: Any honest accounting of the 16 teams remaining in this tournament would list Virginia as one of the three best,a long with Kansas and North Carolina. The Cavaliers are the top-rated team on kenpom.com. They had regular season wins over Louisville, Miami, North Carolina, Notre Dame, Villanova and West Virginia. They have arguably the best player still dancing in senior guard Malcolm Brogdon, as well as one of the best inside-out combos when you include senior forward Anthony Gill. Everything about this team suggests it is on its way to Houston. Virginia has turned into a national power on the strength of its defense, and that is no different this season. This is, however, the best offensive team Tony Bennett has had during his time in Charlottesville. The Cavaliers are 18th in the country in effective field goal percentage and ninth from behind the arc at 40.4%. Brogdon is shooting 51.4% from the floor. Gill is up at 56.5%. Point guard London Perrantes has connected on a blistering 47.9% of his 146 three point attempts this season. On top of all that, Virginia may have the easiest path to the Final Four of any remaining team. Iowa State will provide a challenge in the Sweet 16, but if the Cavaliers win that game, they’ll be heavy favorites against the winner of Gonzagavs. Syracuse. It appears nothing will stop the Cavs from advancing to their first Final Four since 1984. The Case Against: There are only a handful of teams capable of breaking Virginia’s pack-line defense. Iowa State, which has the top offense by adjusted efficiency among all Sweet 16 teams, is one of them. The Cyclones start three seniors and two juniors, led by go-to scorer Georges Niang, and already have wins this year over Kansas and Oklahoma. Iowa State also plays at a pace that is the polar opposite from what Virginia wants to do. If the Cyclones can establish that rhythm, they’ll make the Cavaliers uncomfortable. In all but one of its losses this season, Virginia still held its opponent to 70 points or fewer. It will be hard for a team in this bracket to score enough to beat the Cavaliers. Can one of them defend well enough too? SI Prediction: Beat No. 4 Iowa State in Sweet 16, beat No. 11 Gonzaga in Elite Eight, lose to East Regional champion North Carolina in Final Four.